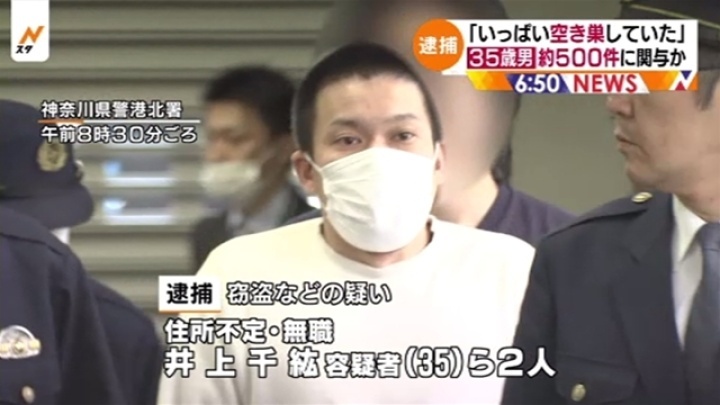 KANAGAWA (TR) – Kanagawa Prefectural Police have arrested the suspected leader of a burglary ring who has admitted to carrying out around 500 burglaries last year, reports the Sankei Shimbun (Mar. 14). 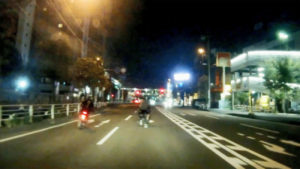 On September 13, Chihiro Inoue, 34, of no known occupation, allegedly worked with Takashi Sawada, a 34-year-old company employee, to trespass into two residences in Asahi Ward, Yokohama and steal 550,000 yen cash and rings and 12 gift certificates valued at a total of 24,000 yen. Inoue, who has already been indicted for attempted theft, partially denies the allegations. “I committed about 500 burglaries to cover debt, but I did them all by myself.” Meanwhile, Sawada denies the allegations. 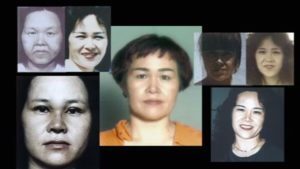 According to police, Inoue is believed to have led the burglary ring, which included several other members. 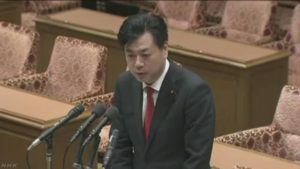 In addition to Kanagawa, the suspect is believed to have carried out burglaries in 9 other administrative districts nationwide, including Tokyo and Yamaguchi and Aichi prefectures, between January and October of last year.